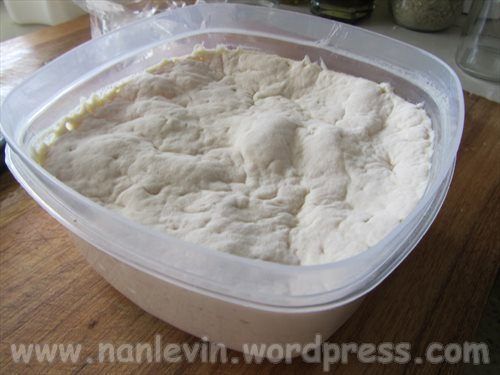 Sourdough Starter and the End Result – Sourdough Bread! In an earlier post I talked about starting to make kefir. Now that I have, I am interested in learing about using my kefir in other recipes. I have made batidos (smoothies) and pancakes. It was time to try something different and that is sourdough starter. This will be a first for me but I really am tired of just white rolls and white bread so making a homemade loaf with that sourdough flavor and part of the flour being whole grain wheat flour would make for a more interesting loaf. 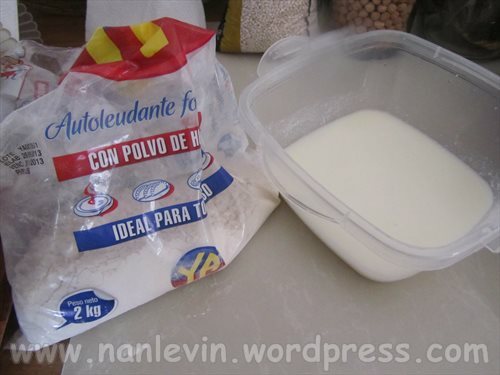 To make the started you need 1 cup of kefir and 1 cup of regular white flour. Mix together and allow to sit at room temperature for 3 to 4 days. I like this step by step recipe with pictures showing each phase of your sourdough process. It makes it easy to follow along. 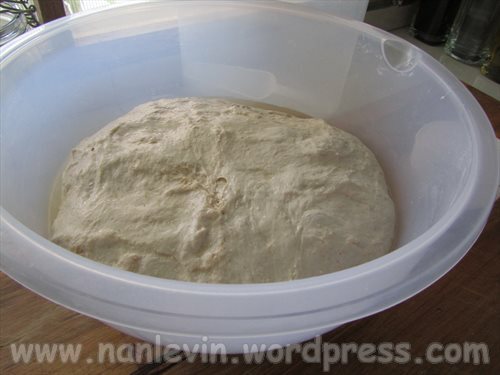 This is what the dough looks like before the last rise. 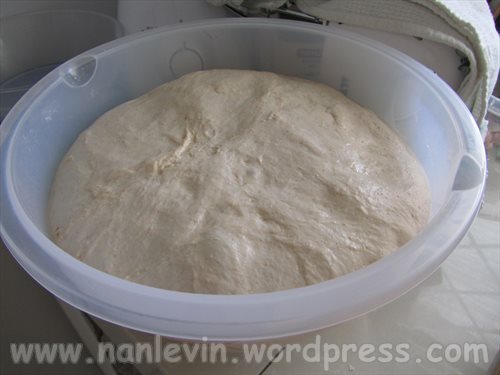 here the dough is ready for baking. And here is the finished product. 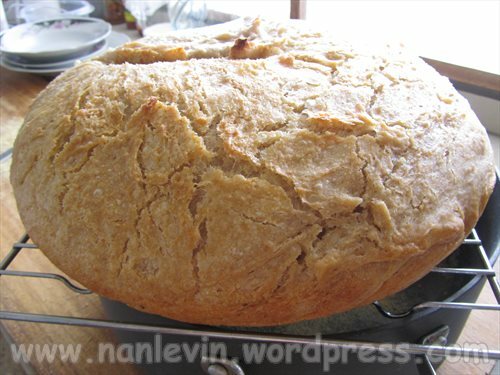 It has a crusty crust, great texture and a beautiful sourdough taste: an excellent bread for sandwiches and I even used it last evening for brochetta and it worked out great. You only need to make sourdough started once. 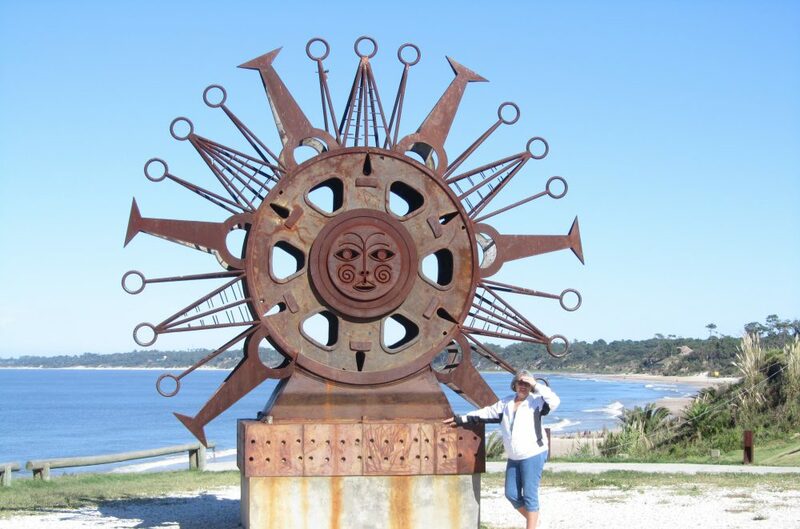 I read that families pass it down from generation to generation. I added 1/2 cup of water and 1 cup of white flour to the remaining starter and kept it at room temperature until it was ready to overflow the container. It is now in the refrigerator waiting for the next use. I will let you know how it does. This bread is going fast! !